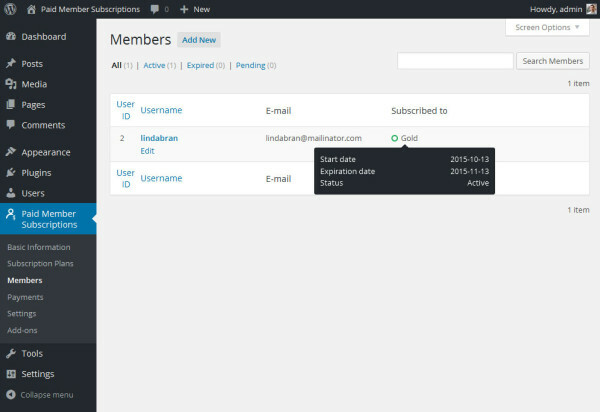 The Members interface allows the administrator of the site to manage, search all members, add memberships to existing WordPress users and edit existing members. 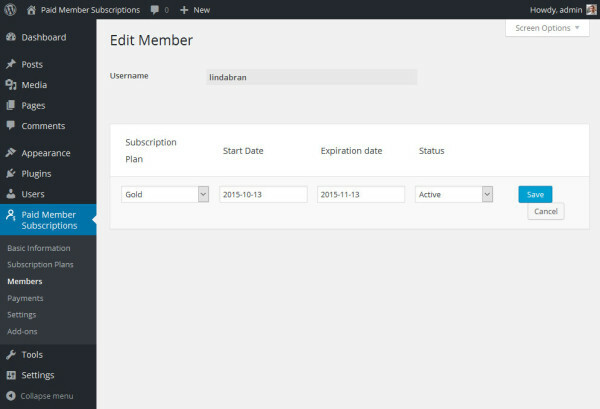 If you wish to easily and rapidly add subscription plans to existing users you can use the Bulk Add New Members feature, which is accessible from the Members admin page. Within this page you can select multiple users from the table and assign an active subscription plan to all users selected.